Restaurant HVAC: Do You Need a Service Contract? Have you ever been to a restaurant and thought the food was quite good, but you wouldn’t go back because you were so uncomfortably hot? Well, you don’t want to be that restaurant. One way to avoid losing repeat customers is to have a restaurant HVAC service contract to maintain an inviting climate. Do you sometimes look for an excuse to escape from your office just because you feel like you can’t breathe in there? You may have noticed other employees doing the same thing: going outside for a cigarette even if they don’t smoke, volunteering to make a Starbucks run, taking long lunches and skipping out early. It doesn’t take long for the stuffy air in your office to sabotage your business by seriously reducing productivity. That oppressive feeling often results from air flow problems with your air conditioning system. Read on for some simple tips that will improve air flow and the comfort of your space, and get people back to business. You may have heard that energy experts attribute 50 to 60-percent of energy costs to your HVAC system’s operation. Like most facilities managers, you’d like to save on your energy bill without spending a bundle on equipment upgrades. The good news is: there are lots of simple, inexpensive ways to save energy. Let’s look at ways to save energy by reducing energy consumption. If you’re interested in reducing energy usage and costs, you’ve come to the right place. There are plenty of energy saving tips for restaurants that lower energy consumption and your bills. Here’s the good news: not all energy saving tips for restaurants require a huge capital outlay. First, let’s take a closer look at the root of the problem. Office temperature might be the most fiercely debated issue in many work settings. People tend to get fired up about office temperature problems because they spend so many hours at work, under a great deal of pressure to get things done, and being uncomfortable is a major hindrance. Are you monitoring HVAC expenses? As a business owner, monitoring hard costs is a vital part of maintaining your livelihood and the consequences of not accounting for them can be dire. You’re constantly keeping an eye on expenses like payroll, rent or mortgage, and let’s not forget energy costs. 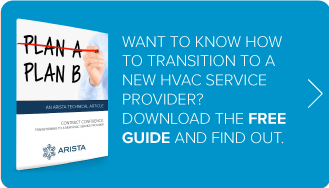 Your HVAC system is one of the most expensive and integral parts of your business infrastructure, and yet it’s not likely that you’ve even thought about it lately. NYC Cooling Tower Regulations: Are You In Compliance? Do you own a New York City/State building that has a cooling tower as part of your HVAC system? If so, you know about the new cooling tower regulations recently passed by the city and the state following last summer’s outbreak of Legionnaires’ Disease. We have been hearing about quite a few companies that have been getting violation notices and receiving hefty fines as a result of the city’s efforts to enforce Local Law 77 – 2015. If you’re one of them, or worried that it might happen to you, here is some clarification and advice that can help you get in compliance.